When I was coming up with the preschool themes for this season, I tried to think of all of my kids and what they love. However, I also wanted to try out some new things. 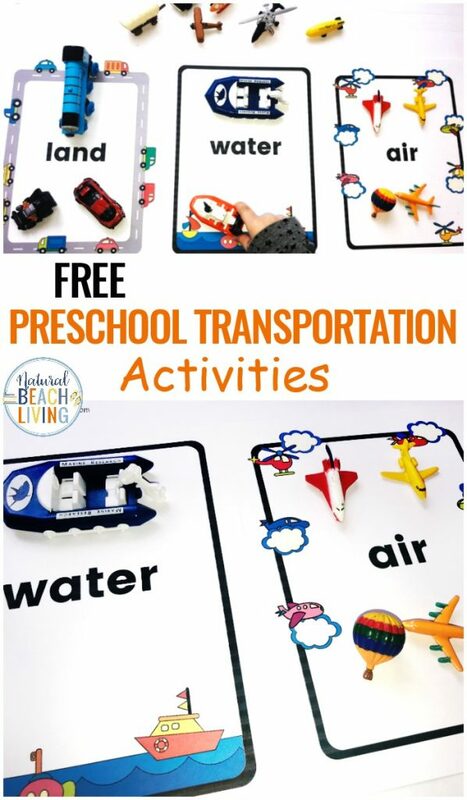 Even though Bells isn’t really into airplanes, jets, or helicopters, I wasn’t going to let that stop me from introducing her to a preschool transportation theme. 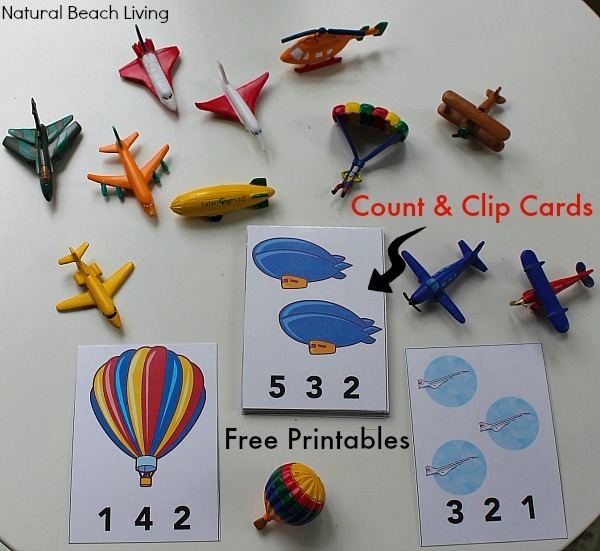 My kids always love fun transportation activities and these free counting printables are perfect for this Up In The Sky Theme. You can download your free math cards at the bottom of the page. The Complete Adventures of Curious George (George has a lot of up in the air adventures ;). We also love these DK touch and feel cards: Things That Go. What fun it is to explore these In The Sky Figures from Safari Ltd. All of the children enjoyed matching up the cards and learning about each item. 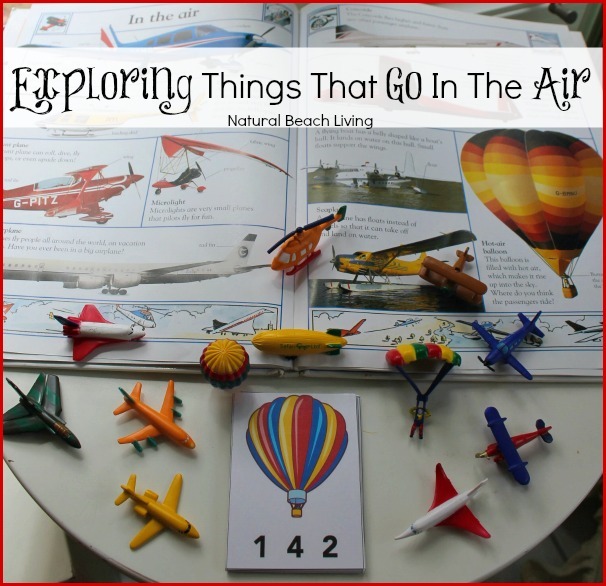 From fighter jets to hot air balloons (that was Miss Bells favorite) there was a lot to explore. I love these count and clip cards for so many different reasons. 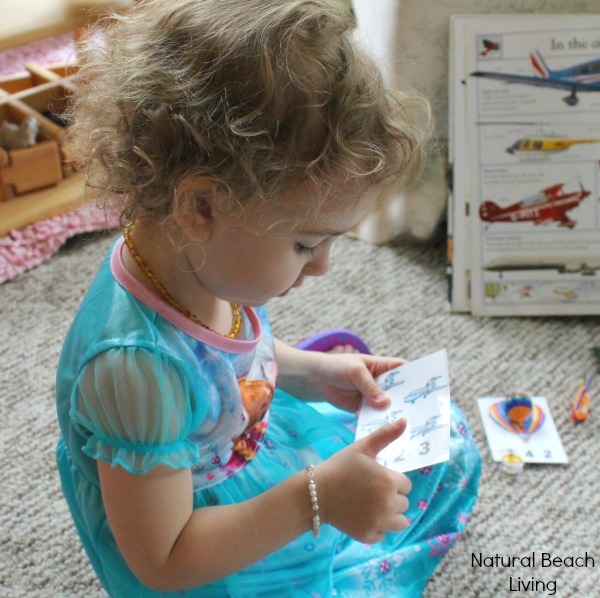 Of course, the early math introduction is wonderful… But you also have the fine motor skills it takes to clip the cards and the concentration the children have to use to hold the card and clip it in the right spot. We also shared these sweet ladybug clip cards we used when we learned about the ladybug lifecycle. Don’t forget to pick up this fun In The Sky Toob to go along with these great count and clip cards. Safari Toobs are a favorite at this house! I hope you enjoyed checking out a few ways we are exploring things up in the sky. 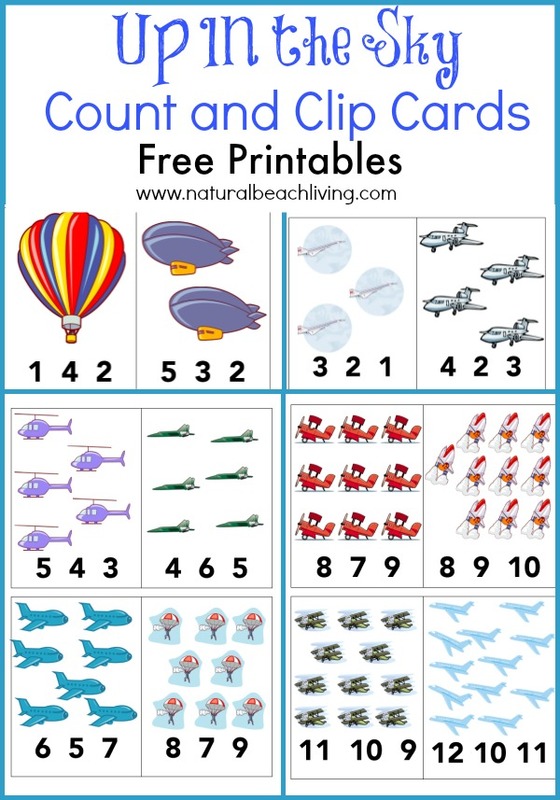 Feel free to download your count and clip cards below, I hope your children enjoy them as much as mine do. I usually, laminate all of my printables so they last a long time. You can see the Best homeschool essentials here. These items make my life and homeschooling so much easier. 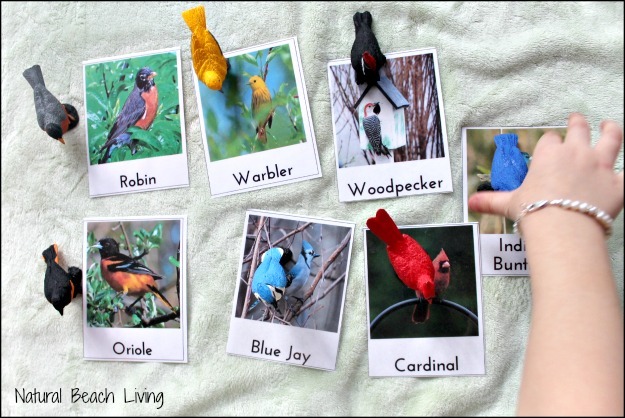 Head over and check out our wonderful Backyard Bird study and get your free printables including a fun bird watching chart. I’m so happy I found your blog! 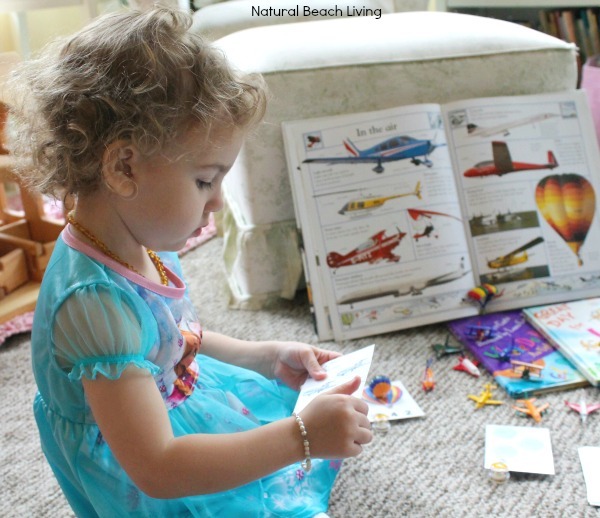 What book is in the background that has airplanes, helicopters, and the hot air balloon?